Whenever you think about Power Rangers, chances are you think about the American adaptation of the Japanese live-action kids series Super Sentai, a show about brightly colored spandex superheroes dramatically flipping away from pyrotechnics. But the toys based on the various TV series are just as important to the franchise. And now, for the first time in Power Rangers history, someone else will be making them. Late last night, Saban Brands [Full disclosure: Saban Brands founder and Power Rangers architect Haim Saban has ownership interest in Univision Communications, which itself owns Gizmodo Media Group, the network of websites io9 is part of] announced out of nowhere that after 25 years, it would no longer be renewing its merchandising deal with Bandai America to manufacture Power Rangers merchandise. The statement also clarified that despite the change for Power Rangers, Bandai Japan will still manufacture toys and continue to be involved with the production of the yearly Super Sentai series, which recently kicked off its 42nd iteration, Kaitou Sentai Lupinranger vs Keisatsu Sentai Patranger (Thief Squadron Lupinranger vs Police Squadron Patranger). This morning, through The Hollywood Reporter, Saban announced Bandai’s replacement: Hasbro will take over production on Power Rangers merchandise in 2019. As insider-baseball-y as this all is, this marks a huge change behind the scenes on Power Rangers as it heads into its celebratory 25th anniversary. Firstly, it’s the termination of a two and a half decade relationship. 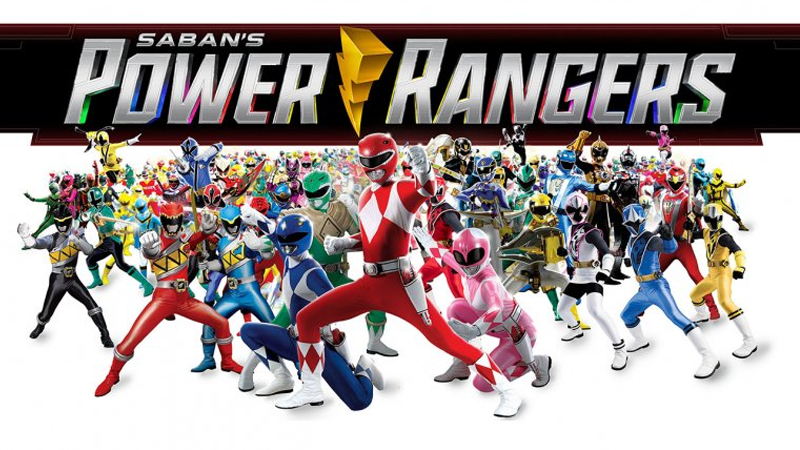 Bandai America, the western adjunct of the company, has mostly relied on Power Rangers merchandise to keep existing all this time, and it losing the license while the parent Japanese company continues to produce toys for Power Rangers’ source material, Super Sentai, is a bizarre turn that will likely have severe repercussions for Bandai America’s future. Secondly, Bandai Japan has been involved in making concept decisions for the Super Sentai shows for years, but 2017 marked the first year Bandai America had input as well—specifically, the 2017 series Uchu Sentai Kyuranger (Space Squadron Kyuranger), which is very likely going to be the source material for the next Power Rangers series after Ninja Steel and Super Ninja Steel. That’s likely why Hasbro’s deal will begin in spring 2019 rather than immediately, so Bandai America’s merchandising contributions will conclude with whatever the next Power Rangers turns out to be. It’s a very strange time for Power Rangers collectors. We’ll have to wait and see in a few years time what Hasbro’s take on the legacy of Power Rangers merchandise will be—and what Bandai America will do after losing one of its most lucrative licenses.